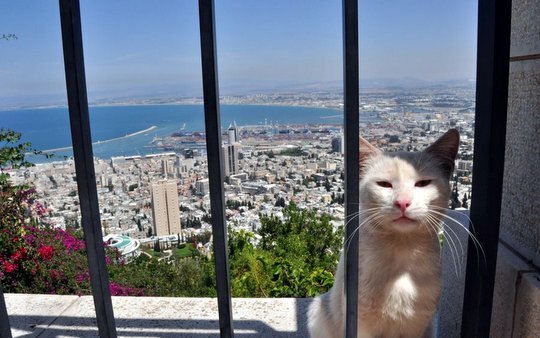 Traveling cat spotted in Haïfa, Israel. Wow that is high up. Have a serene Sunday.